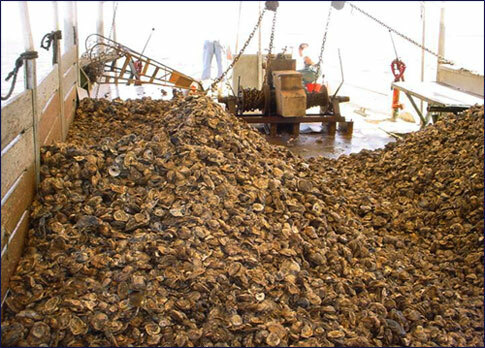 E and E Group has performed more than 100 bottom type mapping and oyster resource assessments for the inshore oil and gas industry as required by the Louisiana Department of Wildlife and Fisheries (LDWF) in public oyster areas and seed grounds. E and E Group has developed much of the methodology required by LDWF to conduct bottom type mapping. Conduct pre-project oyster resource assessments of productive bottoms and oyster standing crop. Provide onsite water sampling and observations during rig moves and dredging activities through private oyster leases and public seed grounds. Perform oyster lease evaluations as a result of rig groundings, drilling fluid discharges, canal and pipeline dredging and seismic survey activity. As a service to our clients, E and E Group offers the extremely specialized service of the negotiation of oyster rights-of-way and oyster damage claim settlement. Our negotiators have settled over 4 million dollars on oyster damage claims and are experienced in all matters dealing with oyster leases and the lessees. These services are extremely valuable to anyone planning a project in the oyster growing waters of Louisiana for which rights-of-way are necessary or to anyone whose operations have resulted in oyster lease damage claims.